The Federal Trade Commission today received a petition from several auto-safety groups that asks for a ban on renting out recalled vehicles that haven’t been serviced. The companies targeted by this FTC complaint are Enterprise, National and Alamo. The petition to the FTC follows a $15 million jury award from earlier this year. 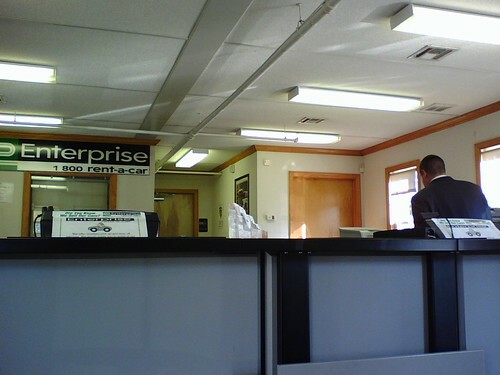 The official policy of Enterprise Holdings, which owns Alamo, National and Enterprise Rent-A-Car, allows some recalls to be rented out. The official policy is that all recalls are reviewed, and any recalls that “involve the risk of sudden loss of control, safety restraint failures, or fire hazards” are reviewed for removal until fixed. Enterprise assures customers that the safety is its first concern. This policy, however, allows for some recalled vehicles to be rented out without repair or notification. The petition filed with the FTC by the Center for Auto Safety and Consumers for Auto Reliability and Safety included Enterprise’s advertising claims as well. If the FTC grants the petition, Enterprise could no longer use “misleading words like ‘well maintained’ and ‘safety and reliability'” in advertising. A similar agreement was reached with Budget Rent-a-Car in 1990. Budget had been accused of similar actions, renting out defective vehicles that had not yet been repaired.